Bill Windsor of Lawless America proposes low-cost way to eliminate homelessness in America. 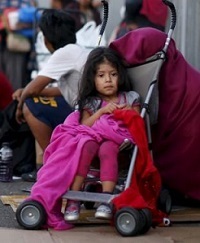 More than 500,000 people - a quarter of them children - were homeless in the United States last year. More than 500,000 people - a quarter of them children - were homeless in the United States this year amid scarce affordable housing across much of the nation, according to a recent study. "Despite national estimates, New York City continues to experience near record homelessness," said Giselle Routhier, a spokeswoman for the Coalition for the Homeless, an advocacy group. According to HUD's latest tally, nearly 565,000 people were living on the streets in cars, in homeless shelters or in subsidized transitional housing during a one-night national survey in January. Nearly one-fourth were aged 18 or under. That number was down 2 percent from the previous year's count and 11 percent from 2007, HUD said. 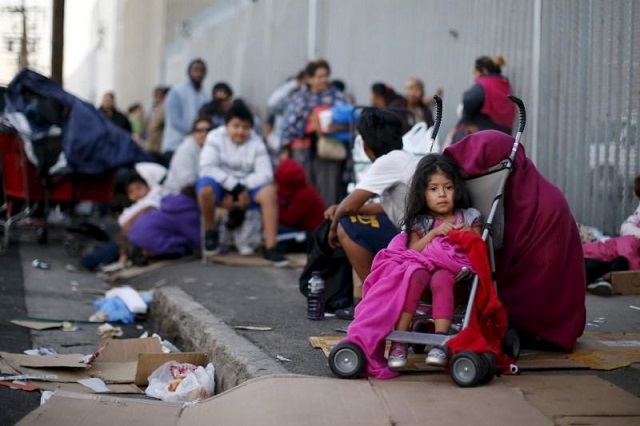 The actual U.S. homeless population is likely higher than HUD's snapshot suggests because many people living without the means to put a roof over their heads are beyond the reach of the survey, sleeping on a friend's couch or a relative's basement. "I am glad it's trending downward, but a 2 percent change (nationally) is pretty much flat," said Nan Roman, president of the National Alliance to End Homelessness, in Washington. The United States has by far the largest correctional system in the world. It is so large, in fact, so sprawling and dispersed, so administratively complex that just how many people are incarcerated is uncertain. The most commonly cited statistic is that are about 2.3 million inmates on any given day. This statistic comes from a survey conducted by the Bureau of Justice Statistics (BJS), a division of the U.S. Department of Justice, which found that on June 30, 2009, the United States housed 203,233 Federal prisoners, 1,326,547 State prisoners, and 767,620 detainees in local jails. In addition, it is estimated that more than 80,000 youth are held in juvenile detention facilities on any given day. Before being deported, about 400,000 people a year pass through our Nation’s immigration detention system, which is run principally by the Department of Homeland Security. BJS also estimates that during a year’s time 12-13 million people are processed through the approximately 3,100 jail facilities throughout the Nation. What's Wrong with this Picture, and How can we Fix It? Having spent 134 days incarcerated on bogus charges while awaiting trial for emailing an attorney a required legal document and for filming a movie exposing government, judicial, and law enforcement corruption, I discovered a lot. First, most of the people incarcerated have had their civil and Constitutional rights violated. Second, most of the people in U.S. jails are being held pending trial, so they have not even been found guilty yet they are locked up. Third, most of the people in jail were there for victimless crimes, usually drug use. According to the Federal Register, the average cost of incarceration for Federal inmates in Fiscal Year 2014 was $30,619.85 ($83.89 per day). According tothe New York Times, the city paid $167,731 to feed, house and guard each inmate annually. According to the State of California, it costs an average of about $47,000 per year to incarcerate an inmate in prison in California. The idea that 125,000 children are living on the streets as homeless is sickening. That the richest country in the world has any people living on the streets is unacceptable to me, but the children, that's just sick. A solution to part of the problems is really quite simple. Automatically release people arrested for victimless crimes on personal recognizance bonds. If needed, release additional prisoners to serve their time in their own homes wearing a GPS monitor. This will open up well over 500,000 beds in jails and prisons. Open those doors to the homeless. The costs of housing them are already covered. I believe that if we release all the people who shouldn't be incarcerated, 1.5 million people will be released at a savings of $450 million annually. But if there are new costs, just stop giving money to countries that could care less about us; put Americans first! Just that easy, just that quick. God Bless America.